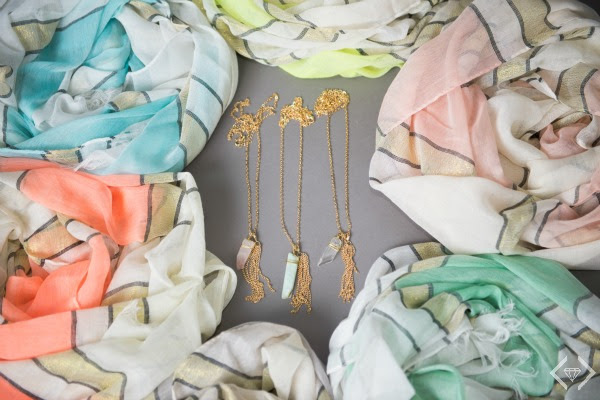 For Style Steals today, we have the perfect Spring combo deal. Cents of Style's Gillian gold metallic striped scarf &Scarlet two stranded stone necklace (2 separate necklaces) all in one & FREE SHIPPING w/code COMBO16. That's under $4.50 per item in this combo! The necklace has 1 with crystal pendant and metal tassel and 1 necklace with small gold bar. 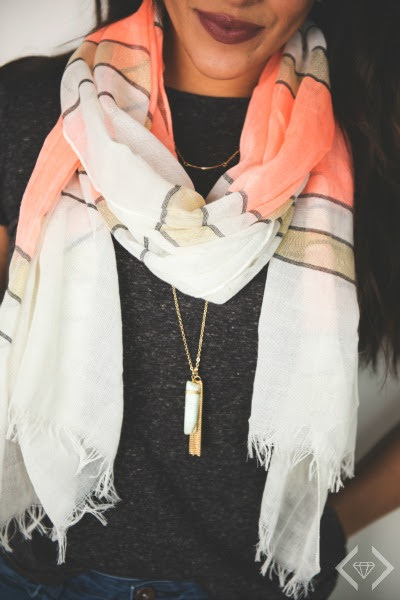 Also, find additional styling tips for this necklace and scarf combo here!